Comment on Draft Comprehensive Solid Waste Management Plan! We achieve zero waste of resources and enhance the environment through collaboration and innovation. We bring the best people together to deliver value to our customers and stakeholders and continuously improve waste prevention, resource recovery, and waste disposal. Employees are valued, engaged, and working towards a common purpose. Everyone leads by example, always. Leadership empowers their teams to succeed, and holds them accountable for their results. We constantly seek to eliminate waste and variability from our processes. We love our customers and respect our stakeholders. We are forward thinking and conscientious about risk management. SWD provides garbage transfer and disposal, and recycling services for approximately 1.3 million residents and 660,000 employees in King County. The King County solid waste system serves a large unincorporated area and 37 of the 39 cities in King County – the cities of Seattle and Milton are not part of the King County system. Collection of solid waste, recyclables and organics is provided primarily by private-sector collection companies. Two cities, Enumclaw and Skykomish, provide their own solid waste collection services. From the curb, solid waste is transported by the collector to the country’s transfer facilities, and recyclables and organics are transported to private-sector processors. The Cedar Hills Regional Landfill receives more than 900,000 tons of solid waste a year. To serve an area the size of King County, the division operates eight transfer stations and two drop boxes. In addition to receiving solid waste from curbside collection, the facilities accept solid waste from residential and non-residential self-haulers. In addition to garbage disposal, basic recycling services are available at no charge at most stations. In 2014, the transfer facilities received 843,320 tons of garbage. At the transfer facilities, many small loads are combined into larger loads for transport to the county’s Cedar Hills Regional Landfill. The use of transfer stations lowers collection costs, reduces overall traffic and the associated air pollution, fuel consumption and road wear. 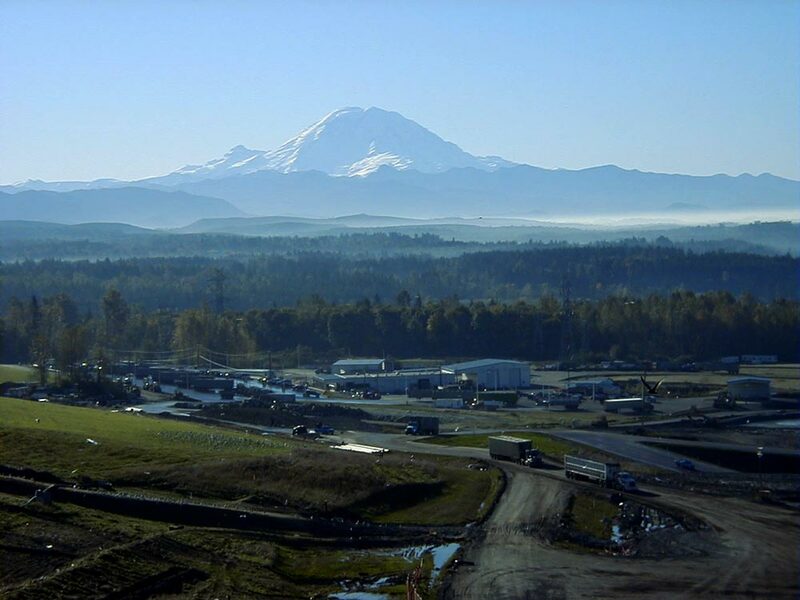 The Cedar Hills Regional Landfill is the only active landfill in King County. It is located on a 920-acre site in rural King County. The landfill has been in operation since the 1960s, and is currently projected to reach capacity in 2031. SWD offers a number of waste prevention and recycling programs. The division also has custodial responsibility for nine closed landfills. Ongoing environmental monitoring of groundwater, surface water, wastewater, and landfill gas ensure that they are maintained in a state that is protective of human health and the environment. The Solid Waste Division is responsible for preparation of a Comprehensive Solid Waste Management Plan (Comp Plan) for the county’s solid waste system. The Comp Plan in currently under review. More information about the division can be found in the 2014 Annual Report Download PDF , 1 MB.